If you are looking for a dental practice for sale, we have several new listings that are included on our website. So, if you’re ready to take on an established practice, now is the perfect time to explore these excellent opportunities. At Menlo Dental Transitions, we believe that partnering with experienced professionals is essential when your considering the option to buy a dental practice for sale. 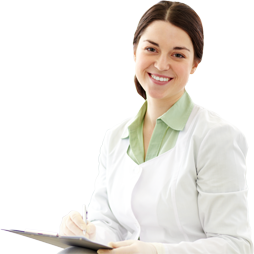 Our team can help you determine which available practice might be right for you. With eight operatories, this thriving practice experiences consistent revenue and an excellent cash flow. It is located near a high-traffic intersection, which affords excellent visibility and convenience for patients and staff. This successful practice has five equipped operatories and uses cutting edge digital technology. It is less than 30 minutes away from Gilbert and attracts an average of 15 new patients each month – a good choice for a sound and stable investment. Formerly owned by a retiring dentist, this general practice is 20 minutes away from Gilbert and provides an impressive amount of cash flow. The practice carries FFS insurance and Delta Dental Premier plans, and houses five fully equipped operatories. Want to See More Listings near Gilbert, AZ? To see more dental practice for sale listings, visit our listing page here. These hot-off-the-press listings are sought after and change quickly, so be sure to check back often. Whether you have recently graduated from dental school or are looking for a sound investment, Menlo Dental Transitions can help you find the right practice to suit your needs. Contact us today for confidential and professional service by phone, or by sending a message on our website. At Menlo Dental Transitions, we take pride in helping those looking to buy or sell dental practices for any type of need.